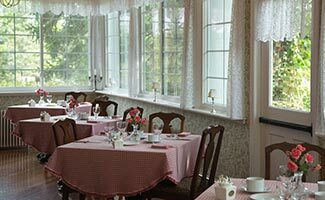 Whether you are an Inn guest enjoying our freshly prepared breakfast each morning, or just looking for that truly special place to share a meal with someone special, we are here to meet your every need at our Mercersburg, PA restaurant. 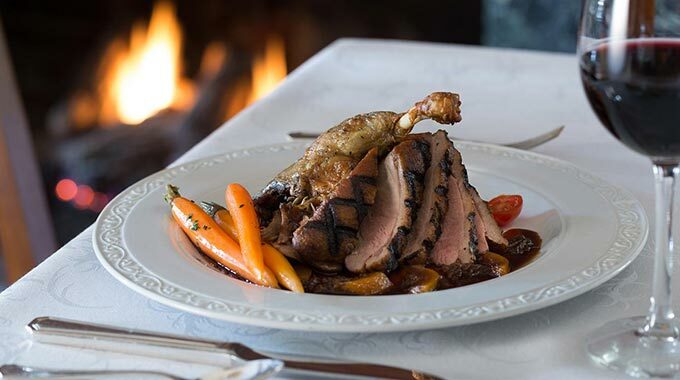 Byron’s Dining Room is open Thursday through Sunday and features delectable meals elegantly prepared and plated for an unforgettable dining experience. 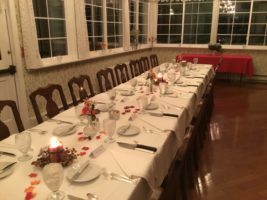 Turn your dinner into the ultimate date night and stay at our top rated Mercersburg, Pennsylvania bed and breakfast! 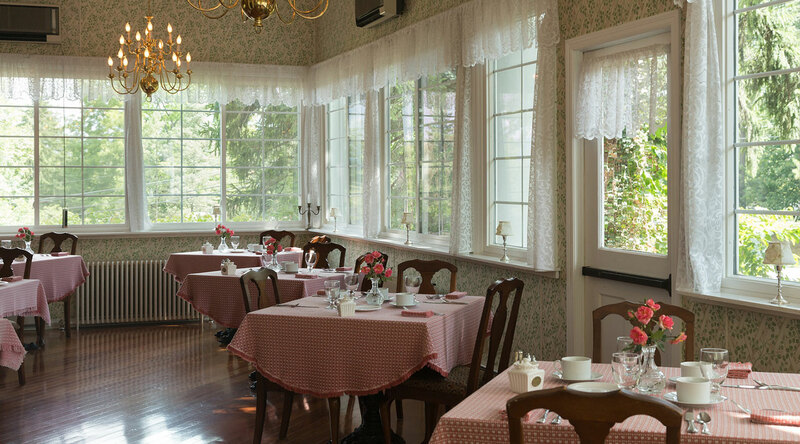 Byron's Dining Room is the restaurant at The Mercersburg Inn, bed and breakfast in Pennsylvania. 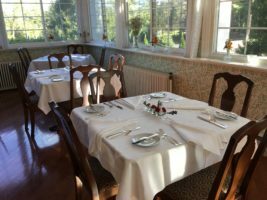 Lauded by guests and critics alike, Byron's Dining Room offers delectable evening meals prepared by Executive Chef Dan Nowalk. Visit us in Mercersburg, Thursday through Sunday, and savor a memorable meal in front of the fire in our beautiful, wood-paneled dining room. Chef Nowalk brings 25 years of culinary expertise. His career has offered him a wide range of experience, working with some of the top chefs on the east coast. 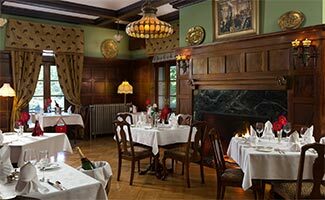 His skills and ability made Byron's Dining Room the finest dining in the Southern Pennsylvania/Northern Maryland area. 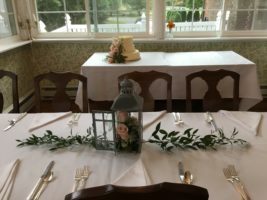 We specialize in weddings, elopements, and any other private and corporate events such as anniversaries, showers, retirement, sweet sixteen, etc. in an unforgettable country setting. 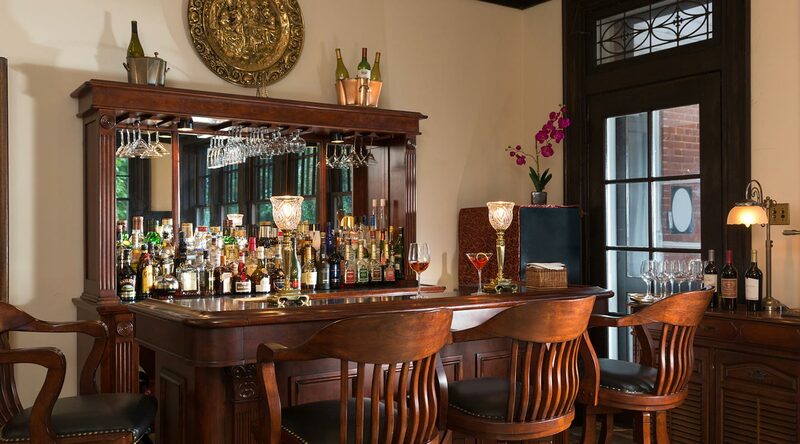 Our upscale party venue can accommodate a variety of private and corporate party themes. You can decorate tables with flowers and candles to make your event special. Best Food Ever! Menu was wonderful and hospitality was beautiful! Do yourself a favor and try it out! You will not be disappointed! We will definitely be back very soon !! 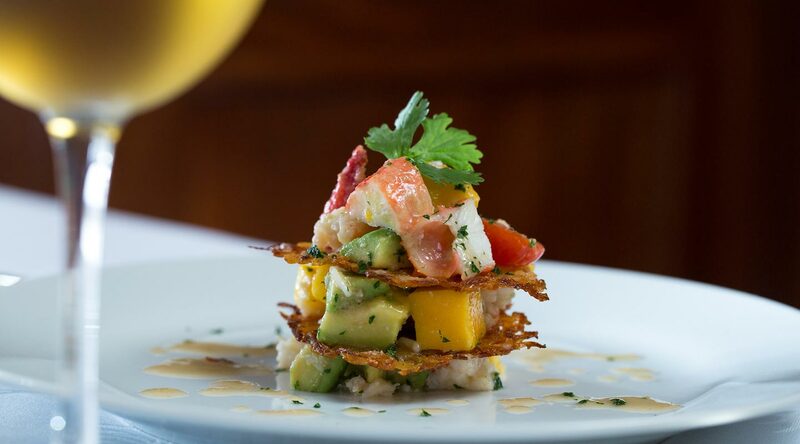 Our menu changes seasonally. Please call us if you have any questions. Our kitchen is not gluten-free or nut-free. 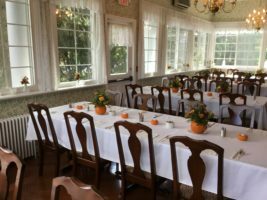 When you stay at the Mercersburg Inn, complimentary breakfast is included every morning and served in a sunlit breakfast room. 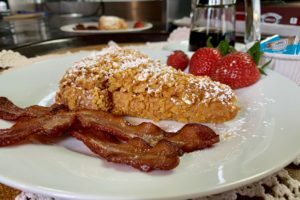 Steven and Tomi will delight you with recipes that have been a favorite at the Inn for many years. 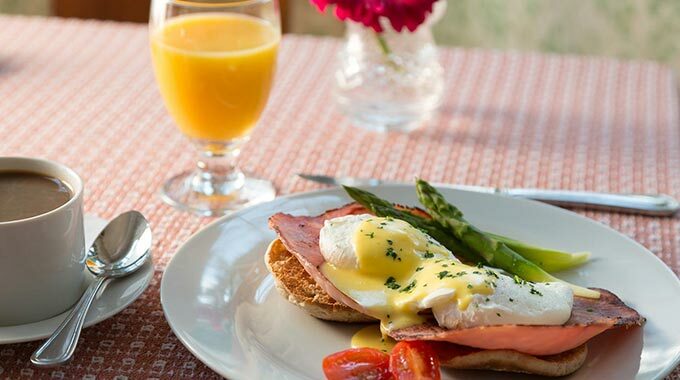 Whether you choose a light, continental breakfast or a three-course breakfast, you'll start the day very satisfied. You can also have breakfast without staying at the Inn. Please make a reservation for it beforehand. With advance notice we will make every attempt to accommodate your dietary need including gluten free, vegetarian, lactose-free and more. Please just let the Inn know in advance. Breakfast begins with many delicious choices. Enjoy one of our homemade coffee cakes or local made cupcakes. Coffee cakes can be served warm or cold. Our coffee cakes are a sweet rich crumbly cake with added fruits, nuts, and spices and is sometimes glazed with streusel topping after baking. Our main course changes each day so that you can enjoy an assortment of breakfast food during your visit. You may be offered one of the following scrumptious dishes, usually complimented by either applewood bacon or maple sausage patties. French Toast Custard has thick sliced bread, soaked in a custard batter and baked in the oven for a crisp and golden outside; with a creamy, custardy, almost bread pudding like texture on the inside. Served with syrup, butter, and powdered sugar. 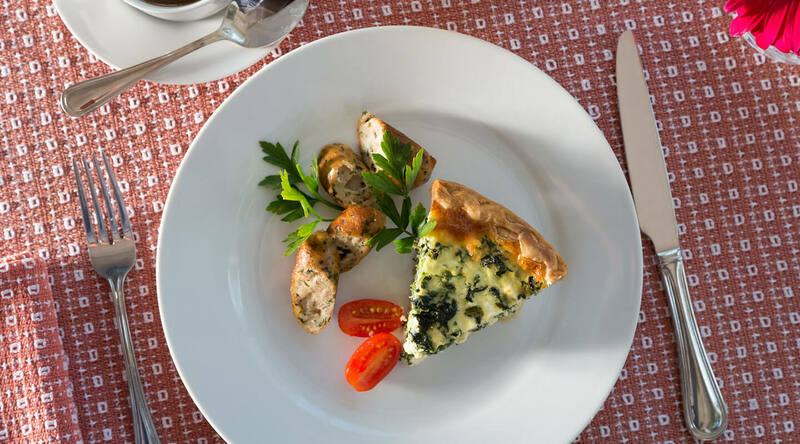 Our Quiche is a flakey crust pastry filled with a mixture of milk, fresh cream, and farm eggs to create a moist and creamy filling that is light and airy. 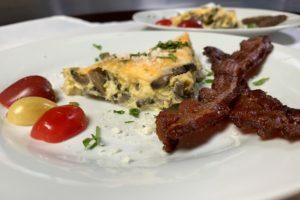 We add various ingredients such as, cheese, onion, spinach, mushrooms to create a savory hearty breakfast entrée. We get many requests for our breakfast recipes. Our current favorites are below.